Regardless of the implications from their name, the Black Russian Terrier breed is neither a descendent of the Terrier or part of the Boston Terrier family. These large, muscular dogs love to be a part of the family and will seek intense contact with humans. Having close contact with their family will bring out the best qualities of these massive terriers. These dogs are strong, intelligent and able to do nearly anything including herding, tracking, obedience, protection and agility. They make good sled and show dogs. To find an excellent representation of the Black Russian Terrier breed, experienced breeders should be chosen. Black Russian Terrier puppies and dogs possess strong protective instincts that appear early on, at about one and a half to two years of age. They are brave and balanced yet can be stubborn at times. As this breed is suspicious of strangers, they make good guard dogs. Black Russian Terriers crave the attention of people and make good companions for children. They are playful and can need firm obedience training. The female terriers are more willing to play with children but the males love them as well. Even adult Black Russian Terriers are enthusiastic toward young ones and enjoy playing with them. This breed generally gets along well with other animals and will avoid fighting with other dogs. It is not advisable for Black Russian male dogs to live with other big dominant dogs, however they can get along well with smaller, non-dominant dogs and pets. Black Russian Terrier puppies and dogs are slow to mature and eager to please their masters. They will only bark when they feel it necessary. This breed is swift to act and constantly ready to protect their family and house. Typical of terrier breeds, Black Russian dogs have a wiry, weatherproof coat that lies close to their skin. Their coarse, dense coat is usually two to four inches in length and is bristly and wavy. Black Russian Terrier puppies and dogs should see a groomer every 6 weeks and receive a weekly brushing lasting at least 30 minutes. 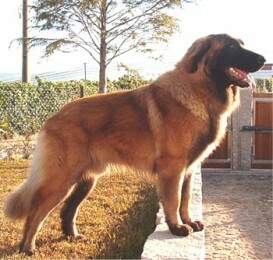 When regularly brushed, they will shed very little and are generally a low shedding breed. Black Russian Terrier puppies and dogs are healthy dogs. The few health concerns of this breed include elbow and hip dysplasia as well as eye problems like Progressive Retinal Atrophy or PRA. Originating from the cold regions of Russia, Black Russian Terrier puppies and dogs enjoy both water and snow. As an energetic breed, exercise is important to these dogs and they should be consistently taken on long walks. This breed does best when they have ample room to play and romp. Like most other terriers, Black Russian Terrier puppies and dogs are easy to housebreak and will accept a leash without training. This breed enjoys training and will work to please their owners. Black Russian Terriers need socialization as well as training from a confident, firm and experienced dog trainer. To keep them satisfied, it is best for these large terriers to have a job to do. They have a strong work ethic which makes them good dogs to train. Be sure to train Black Russian Terrier puppies early since they grow up to be very large dogs.